"Housing the Bay” is a new initiative launched by ULI San Francisco in collaboration with SPUR and other local partners to address the underlying issues affecting housing cost and supply in the Bay Area. Through ongoing events, research and workshops (including the October 6 Housing the Bay Summit), this initiative is dedicated to finding lasting housing solutions for the Bay Area. 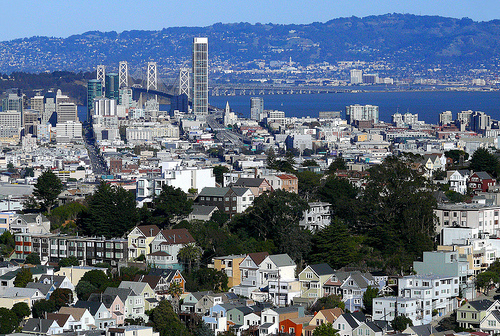 On Tuesday, June 27, Housing the Bay presents "Housing the Missing Middle: A New Financial Frontier”, a lively discussion to share ideas, strategies and market-driven solutions for increasing middle-income housing throughout the Bay Area. With approaches ranging from impact funds to non-traditional equity sources to new statewide programs intended to spur private-sector development, this forum will explore multiple tools to finance housing in the Bay Area. Moderated by Eric Tao (AGI Avant), the four dynamic panelists will present their innovative approaches to housing the missing middle: Nicholas Targ (Holland and Knight), Rebecca Foster (San Francisco Housing Accelerator Fund), Kevin Zwick (Housing Trust Silicon Valley) and Anne McCulloch (Housing Partnership Equity Trust). Special thanks to SmithGroupJJR for hosting the event at their offices at 301 Battery Street.